Text stamp is by Woodware, I mis-stamped in the centre hence the positioning of the holly poinsettia. I try to point out my mistakes to my card club ladies as I think there is usually a way of rescuing what you've done, and it can sometimes be disheartening if you think you're the only one who can't stamp properly! I've layered two different size holly, the card is a pearlescent midnight blue, not black as it looks here. The branch has been stamped on heat-resistant acetate using Versamark and embossed with WOW embossing powder. 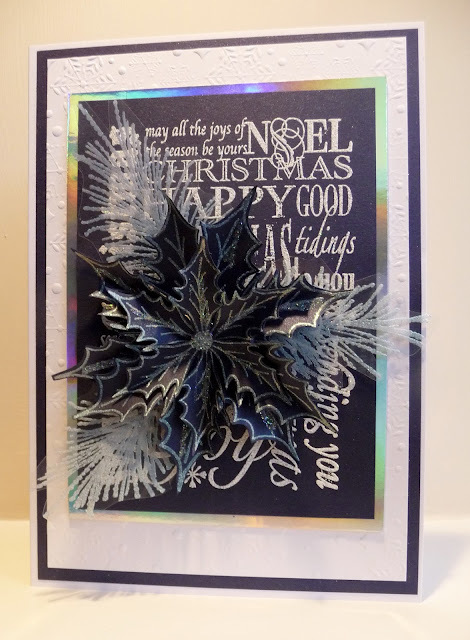 In the past I've struggled to stamp on acetate, using Stazon, because I find it too slippery. 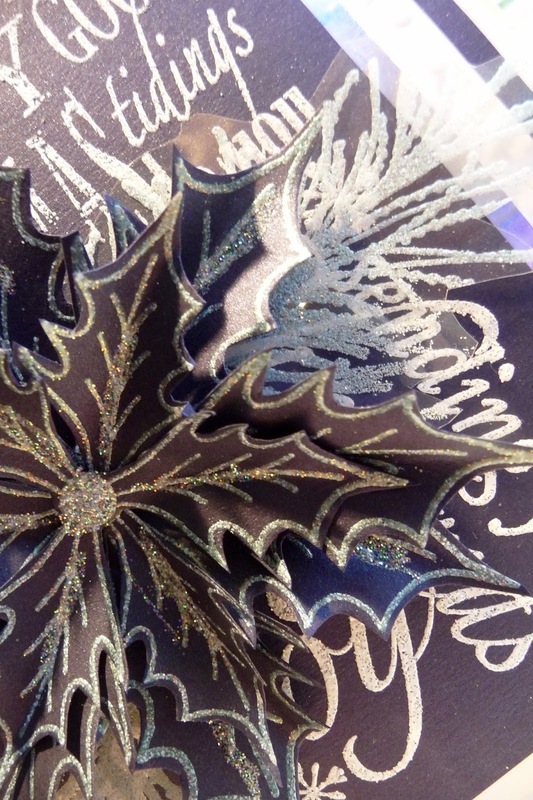 Chloe suggested using Versamark and embossing powder instead and it is so much easier as it's a 'grippy' ink. It definitely does not work on normal, non heat-resistant, acetate though (ask me how I know this).